One of the main reasons we chose to homeschool years ago was the chance to choose our own curriculum and make sure it taught from the Christian worldview. There are so many Christian resources and faith based homeschool curriculum choices for homeschoolers than there used to be, but wading through them all can be a challenge. How do you know which ones are good or worth your time? That’s why I have taken the time to gather and share some of the faith based homeschool curriculum we have used and enjoy. 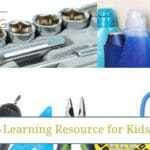 These resources are ones we have used in our own home, love and recommend to other Christian homeschoolers. These range from weekly lessons to core subjects and preschool to high school. 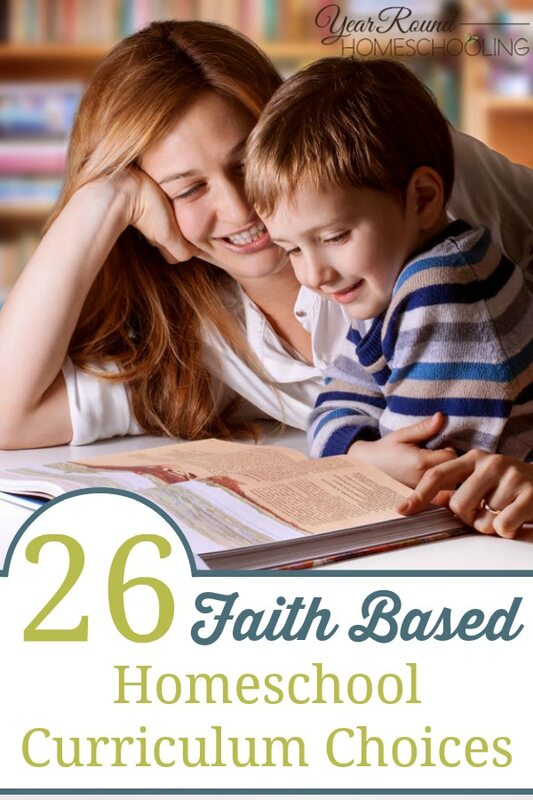 I hope this list helps you in your future faith based homeschool curriculum decisions. 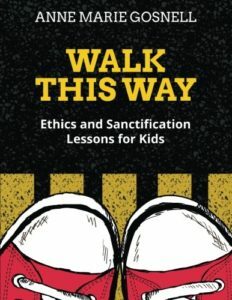 Walk This Way: Ethics and Sanctification Lessons for Kids includes 20 interactive Bible object lessons that create a fun learning atmosphere while teaching Biblical truth that enhances spiritual growth. Perfect for Sunday School, Awana, small groups, and other Children’s Ministry activities. In this book you will discover how to define a godly lifestyle so kids gain understanding, twenty lessons for children in grades K-6 to be used at home or church, engaging dialogue that gets kids thinking critically about life topics, and tips and retrospectives that help you improve your teaching skills. Why is the Old Testament important? There is a generation of biblically illiterate people in our churches. Do you want the children you teach to be biblically illiterate? What God is Doing: Old Testament Object Lessons for Kids includes 26 interactive Bible object lessons that create a fun learning atmosphere while teaching Biblical truth that enhances spiritual growth. Perfect for Sunday School, Awana, small groups, and other Children’s Ministry activities. Children will not understand why Jesus is such a BIG DEAL until they understand why what happened in the garden of Eden is a BIG DEAL. 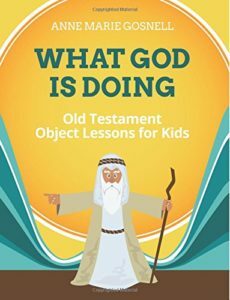 In What God is Doing: Old Testament Object Lessons for Kids, you’ll discover how to present Old Testament truths so kids gain understanding, twenty-six object lessons for children in grades K-6 to be used at home or church, engaging dialogue that gets kids thinking critically about life topics, tips and retrospectives that help you improve your teaching skills. 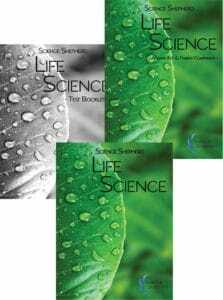 Science Shepherd offers a Complete High School Biology Curriculum with 730+ page hardcover textbook including study questions at the end of each chapter. 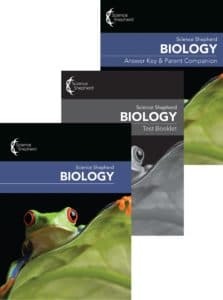 Includes high-quality, full-color pictures and graphics and step-by-step video (DVD) presentation of all 19 labs and expected results (includes pig dissection, fish dissection, earthworm dissection, microscope experiments and more). Lab manual including all labs, critical thinking questions, and student data sheets. Answer Key including study question answers, test answers, and chapter summaries with key teaching points. Also includes a complete Syllabus/Daily Schedule with Integrated Labs, Test Booklet and Enhanced Study Question & Answer DVD including audio and visual presentation of all chapter study questions and answers with comprehensive explanation of the harder concepts and questions. A proven, complete homeschool curriculum to help you teach your children with maximum enjoyment, minimum prep time, and incredible connection. Experience education the way you wish you’d been taught using literature. Sonlight includes everything your family needs to teach your children, from preschool through high school graduation. Includes homeschool math, history, science, literature and more! They offer multiple curriculum options, completely customizable to meet your needs both academically and financially. The Sonlight website does provide free three-week sample downloads, full curriculum catalog, and guidance for choosing a curriculum. Price Point – The cost for Sonlight curriculum varies by age group, chosen courses, and other resources added to the core. For example, Core D for ages 8-11 runs $409-$529, plus approximately $90 in additional required resource materials. Add science for $239, math for $120, and handwriting for $21. Core curriculum and multi-subject packages for younger children cost less, while the cost for older children can reach $879. Notgrass History helps you succeed at homeschooling by letting you open the book and learn. Notgrass History curriculum combines: narrative lessons, primary source documents, historical novels and biographies and hands-on activities. Notgrass History helps students enjoy learning and helps parents feel confident teaching. We offer curriculum for grades five up through high school. While they are known for the history curriculum, they do offer other resources as well. Take a look at Draw to Learn, our art and Bible series for all ages; our Celebrate holiday unit studies; our Walking In character-building Bible studies; our historical DVDs; our homeschool record-keeping system; and a few additional resources. Price Point: Prices vary by category and product options. 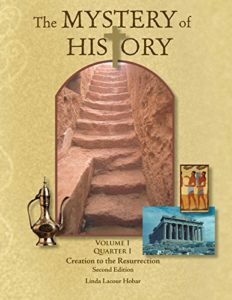 The Mystery of History, Volume I (Second Edition), spans “Creation to the Resurrection” (c. 4004 b.c.–c. a.d. 33) and provides a historically accurate, Bible-based approach to learning ancient world history. By incorporating hands-on activities along with reading, writing, and research projects, The Mystery of History offers something for all learning styles and supports all methods of education. 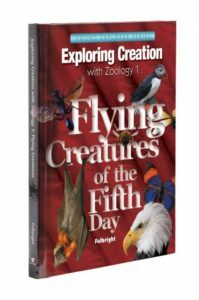 Apologia Educational Ministries offers a full range of homeschool science curriculum, from elementary courses through advanced high school materials, founded upon a biblical, creationist viewpoint. Apologia’s direct conversational style textbooks and household labs are perfectly tailored to homeschoolers’ needs! BJU Press (Bob Jones) Homeschool Curriculum provides homeschool families with easy-to-implement, rigorous, and biblically-centered textbooks for grades Prek-12. Price Point – Prices vary by grade, but for example 4th grade distance learning runs $879, which includes their textbooks, texts and 3 electives of their choice. Price Point – It’s all free! You’ll need paper, pencil, etc. and some minor supplies if you choose to do the experiments and art projects, but all of the reading materials, etc. are all free and online. Price Point – Prices vary by grade and customization, but a full 4th grade curriculum set is $269.95 – The LIFEPAC 4th Grade 5-Subject Set! This colorful set contains five core subjects: Bible, History & Geography, Science, Language Arts, and Math. Each individual subject in this Alpha Omega curriculum has ten worktexts and a teacher’s guide. LIFEPAC lessons are Bible-based and encourage concept mastery! The online learning academy of Alpha Omega Publications combines the benefits of home education with private education – flexibility, security, accreditation, teachers, grading and recordkeeping, to name a few — to give your student an excellent K-12 education and experience. From single course enrollment and credit recovery to full-time enrollment for multiple children, our academy supports your family’s unique needs, giving you multiple options while providing academic rigor, Bible-based curriculum and a Christian worldview. Price Point – Offering significant savings over traditional private schooling, Alpha Omega Academy offers a full set of courses starting at just $199/month with no registration fees. You simply can’t beat the value of a Christian education at AOA. Subscribe to a completely different way to homeschool. 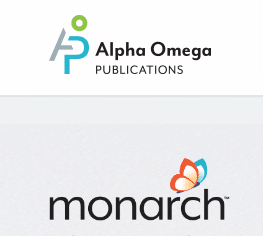 Monarch is a Christian online home school curriculum for grades 3-12 that’s compatible with most web browsers on a Windows® or Macintosh® operating system. 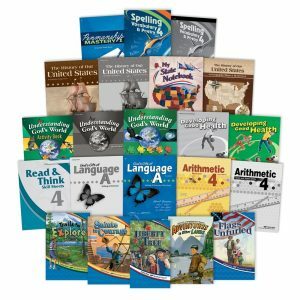 Price Point – Prices vary by age group and customization, but the complete 4th grade level is $404.95 – The 4th Grade 5-Subject Set is a mastery-based complete Alpha Omega curriculum which offers academic instruction in five core content areas—Bible, Language Arts, History & Geography, Science, and Math. Rich in multimedia features, this popular computer-based program is sure to please your fourth grade child! The Weaver Curriculum is a unique unit-based, Christian homeschool curriculum. For grades PreK-12, this family-based curriculum uses the same daily Bible theme as a foundation and then creates lessons for each student. Your students are then studying the same main subject the same time with individual lesson assignment geared to each student’s grade level. For example if you were teaching about the plagues of Egypt, your student would learn about frogs in science, Egyptian topography in geography, pharaohs in history, and so forth. Using this one-room schoolhouse type teaching, students are able to glean information from each other. My Father’s World Christian homeschool curriculum combines the best of Charlotte Mason’s ideas, classical education, and unit studies with a biblical worldview and global focus. Charlotte Mason’s educational philosophy includes living books, literature, timelines, Century Books (“notebooking”) and nature walks to inspire curiosity and a lifelong love of learning. Discover, Investigate, and Declare – our God-centric curriculum mirrors the Greco-Roman classical approach of grammar, logic, and rhetoric. But we teach your children Who God Is. Hands-On Unit Studies enhance retention. Simple hands-on projects organized in a chronological learning sequence without the hassle of planning. Kids love to learn – Parents love to teach. Celebrate the world through God’s eyes. We integrate the Bible, God’s Truth, in history, geography, science, literature, art, music, and character development. Children cycle through Bible 3 times. Bring world and U.S. history to life by learning God’s story of people – diverse countries and cultures – all needing the grace and truth that comes through the message of His Word. Over the course of more than two decades, we’ve supplied thousands of families with Christian homeschool curriculum. If you want the Bible to play a fundamental role in everyday learning, you’ll appreciate the fact that we offer Christian homeschool curriculum options for every subject. Our education system has gone online. If you homeschool your children, or would like to, consider Enlightium Christian Academy as your partner in private online Christian homeschooling. Enlightium Academy is a next-generation online homeschool that sets the industry standard for quality education. Our teachers pray for and care for the academic success of each student as if they were their own. Enlightium Christian Academy is a highly recommended program for parents interested in an accredited Online Private School for grades 3 through 12. Price Point – The tuition starts at $75/month and is customized to meet your budget and requirements. Our Mission is to Equip Teachers and Inspire Students. Our Primary Focus is to Publish and Distribute Educational Resources that meaningfully incorporate Scripture Values and provide options for Differentiated Instruction. Our Ultimate Goal is to point to God as the source of all wisdom, and to make learning fun for life. A Reason For offers Guided Reading (thru grade 2), Spelling (thru grade 6), Science (thru grade 8), and Handwriting (thru grade 6). This classic Christian homeschool curriculum for kindergarten through high school provides detailed lesson plans. Tapestry of Grace is a very extensive guided unit study, so parents will need to put in some time choosing which assignments should be completed. Once every four years, students cover the history of the world, complete with biblical events, each time studying at a deeper level. However, students can start the program at any age. The curriculum is literature based, so you’ll need to visit the library or buy books, which will add expense to the cost of the curriculum. 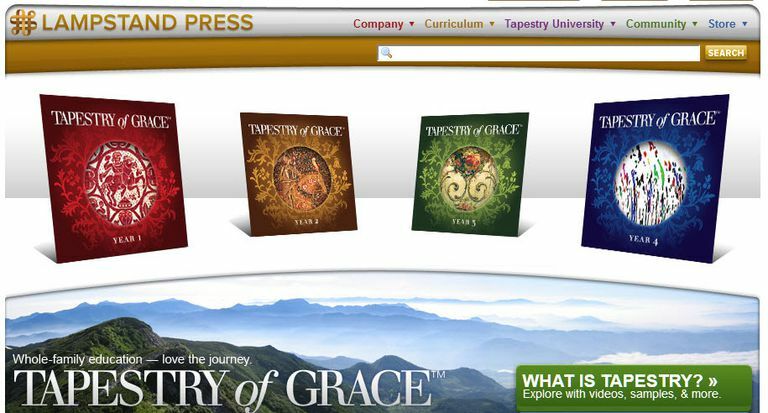 Tapestry of Grace does not include a math course but covers every other subject: history, literature, church history, geography, fine arts, government, writing and composition, and philosophy. In addition to the homeschool curriculum, Tapestry of Grace sells supplements like writing aids, lap book activities, geography maps, and evaluations with various tests and quizzes. Price Point – $295 for print edition, $170 for digital edition. (You will need to do your own printing, but the program is searchable and receives updates.) Purchasing is on a four-year rotation. Visit their website for a free 3-week sample curriculum, free trial of digital version, and a buying guide. 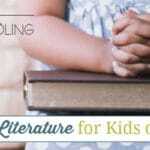 AmblesideOnline is a free homeschool curriculum that uses Charlotte Mason’s classically-based principles to prepare children for a life of rich relationships with everything around them: God, humanity, and the natural world. AO’s detailed schedules, time-tested methods, and extensive teacher resources allow parents to focus effectively on the unique needs of each child. The AmblesideOnline library hosts a large collection of original Charlotte Mason materials, which have been digitized by our volunteers. In addition, our community offers a wide variety of resources for homeschooling parents and Charlotte Mason educators: a support forum, an archive of wisdom from experienced Charlotte Mason educators, as well as original and current books and articles about Charlotte Mason’s living ideas. Price Point – All Ambleside Online Curriculum is completely free. There is a dedicated section for “high school” that is geared toward grades seventh and older. Be sure to read the FAQ’s to answer any questions you have before getting started. What are you favorite faith based homeschool curriculum resources? P.S. If you’d like more homeschool curriculum resources ideas, be sure to check out the round ups for each subject here. Please note, the resources in these posts are not all faith based curriculum.